The history of drum machine can be traced back to the 1930s; yet, the development of a MIDI sequencer only started in the late ’80s. Akai had pioneered the production of MPC—which is originally called MIDI Production Center—when it produced the MIDI sequencer based on the design by Roger Linn in 1988. Akai has produced various MIDI sequencer models that have become very popular. The Akai Professional MPC X is one of the best—if not the best—MPC models on the market today. It provides you with a 10.1″ high-resolution standalone MPC. It also features an internal memory with a robust 16 GB of storage and 10 GB of pre-installed content. Moreover, it also comes with 2 GB of RAM and is equipped with a slot for SD card. Out of the box, you’ll get a power adapter, software download card, USB cable, safety manual, and quick start guide. The good thing about the Akai MPC X is its multi-touch display. With this multi-touch display, you won’t be needing a PC to operate this MPC. Furthermore, it is perfectly compatible with Mac OS X, 10.5 or newer and Windows 8.1. It also comes with two USB-A 3.0 slots allowing you to operate external drives. It is also perfectly compatible with MPC 2.0 software. This MPC allows you to effortlessly move from a veritable standalone into a formidable high-powered MIDI controller. It likewise comes with pre-installed ten gigs of awesome sounds. Moreover, it comes with 16 Q-Link GUI knobs with various inputs for line, mic, instrument, phone, and six I/O ports for MIDI together with 63 function buttons. The Akai MPC X comes with 2.5 SATA power connectors for inserting SSD or HDD. It is also equipped with 8 GHz quad-core processor. Moreover, it likewise offers 16 RGB pads that are pace and pressure sensitive and very responsive. So basically, this one is a complete package for those who are looking for an MPC. 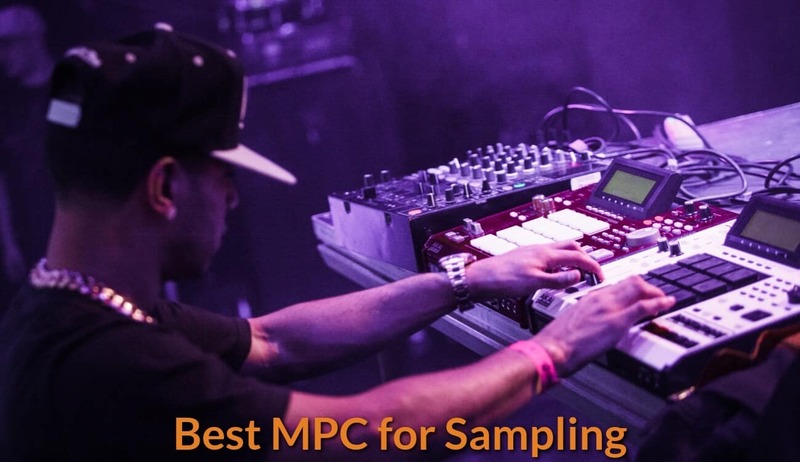 The Akai Professional MPC Studio can be considered as one of the best MPCs based on reviews and feedback from many of its users. Its 16 backlit pads are pressure-and-velocity sensitive allowing you to be very creative and expressive in inputting your music. Equipped with 4 Q-link knobs, this MPC is known for its being touch sensitive. You can easily adjust the parameters of its effects, its levels, etc. 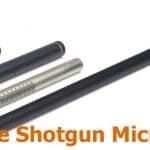 Its dimensions are very lean, lightweight, and very compact. It also comes with an aluminum dial and scroll wheel. With these features, it is undoubtedly very convenient to transport anywhere. The most sterling feature of this MPC is its workflow. It comes with an overdub mode that permits you to build a sequence within a particular loop. Thus, you can input a number of instruments whenever you loop it back. 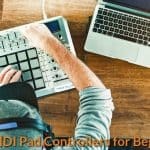 There are many other unique features that you can get from this MPC. First, its swing is surely well-known and had been used in myriads of recordings. It is easy to temper. You can either calm it or make it sound aggressive. Another unique feature of Akai MPC software is its capability of loading VST plugins. You can easily access your VST instruments by simply going to the sequence’s instrument section. There, you can select the MPC plugin or MIDI. With Akai Prof MPC Studio, you have two sets of instruments to select from. First, you got the MPC 60 collection samples with kick drums and high hats from that period; you also have the “Bank” consisting of a collection of samples that include violins, guitars, drums, and mixes of different instruments. 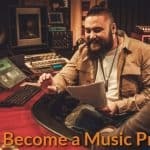 Choosing Akai Professional MPC Studio is surely a wise choice. The Native Instruments Maschine Mikro MK2 is an MPC that is incredibly user-friendly. You can use this sampler in learning the rudiments of creating beats, as well as you can use it in a live setting. It comes with 6 GB of sounds. It also includes a wide variety of basses, drum kits, synths, and acoustic instruments. Moreover, it comes with Maschine 1.8 software that includes pitch shift and time stretch capability. With this MPC, you can readily control and sequence all your external hardware instruments. The software is downloadable from its website as well as its different NI software and plugins. Aside from that, it also comes with multicolored pads that let you readily assign colors to sounds, patterns, groups, and scenes. The Maschine Mikro is surely a very compact system that combines perfectly both hardware and software. You can add novel dimensions to your every project using the MASCHINE Mikro’s intuitive workflow. Moreover, you can easily update its software online; hence, you can be very sure that you have a highly enhanced system to work with. This MPC is surely a perfect choice for those who want to try their hands on producing and recording their own beats and music using samplers. The brand Korg is known to produce excellent products, and thus, we can also expect that the Korg Volca Sample is of sterling quality. It has adapted a range of technology from more expensive samplers. As such, it is a mixture of the best parts and features of various MPCs. Furthermore, it comes with 100 pre-loaded samples with the addition of a built-in speaker. With the Volca Sample, you can surely create an awesome groove anywhere you want to. The Volca Sample comes with a swing function that generates incredible grooves. It also comes with a reverse function to let you play back samples. It is equipped with motion sequencer that records and plays back up to around 11 parameters. Its active step and Step/Jump functions also allow you to remove and insert steps. With its analog isolator, you can significantly expand sound possibilities. It also has a reverb-per-part-song mode that allows for more dynamism during your performance. The Akai Professional MPD218 is surely one MPC that is very portable. 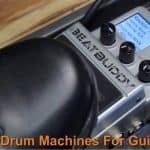 You can easily use it for various drum controllers. You can also integrate it with iOS and DAWs platforms. Moreover, it features some innovative improvements from older models. It did away, however, with the old-style gray pads, replacing them with fat MPC style pads. This innovation surely looks awesome. Akai Professional MPD218 comes with 16 pads equipped with backlit LED response. This feature makes it great to tinker with and affords you a great feel. Moreover, this one is perfectly compatible with operating systems like Windows 7,8,10, Vista, and XP. You can likewise use it with Mac OS X 10.4.11. It also comes with 16 fat and thick backlit MPC pads with 48 assignable pads that are accessible via three banks. It has 6 control knobs with 18 assignable knobs accessible via three banks. Akai Professional MPD218 is also equipped with USB slots for connecting to computer. It doesn’t, however, require an AC adapter. 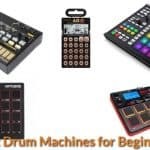 It also comes with free software titles like those of the Ableton Live Lite, SONiVOX Big Bang Cinematic Percussion and Universal drums, and Akai Pro MPC. The Akai provides a full-level control. Thus, when it is turned on, all its pads send 127 velocity values in total. The velocity is surely excellent. The built of this MPC is pretty much sturdy although it is encased in a plastic case. It is easy to use by simply plugging it using a cable to play with it immediately. All in all, this MPC drum machines belongs to the best class of MPCs.